Frankfurt, HR – Light + Building 2018 – Hall 9.1, Booth E46 – March 18-23, 2018 — Contec will be hosting live demonstrations of their last smart home and smart building products in the Z-Wave Pavilion. Contec’s Z-Wave Glass touch switch combined with frame sockets is suitable for any 4×4 Italian inner box. They will also debut a new line of touch glass design made of concrete and stone. With all products, customers can choose the size of glass and design. Live demonstrations from Contec will include a variation of designs of their Z-Wave glass touch switch. 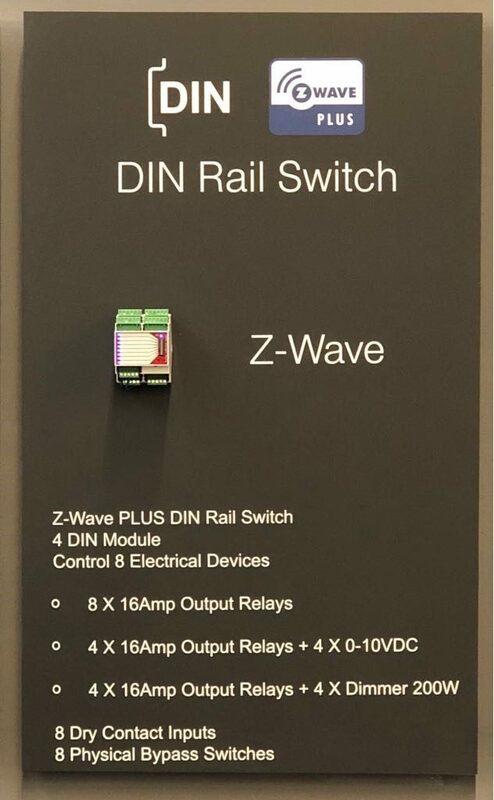 Also on display will be there Z-Wave PLUS DIN Rail Switch, DIN Module Control, Electrical Devices, Dry Contact Inputs, and Physical Bypass Switches.